(Trent Nelson | The Salt Lake Tribune) A large mural painted by students at Pines Academy, Pinesdale, Mont. A dispute over the leader of a Utah polygamous church has escalated in Montana, where parents expect a school run by the sect to lose half its students. Pines Academy in Pinesdale, Mont., has been operated by the polygamous Apostolic United Brethren (AUB) and is so synonymous with the town that the school is the first photo you see when you search Google for “Pinesdale, Montana.” A note sent home to parents March 14 informed them of changes that appear to ensure only people loyal to AUB President Lynn Thompson teach at the school. Teachers must pass an interview and be “blessed” and “set apart” by AUB representatives to work there next year. The AUB’s governing council also wants the religious curriculum of Pines Academy, which teaches kindergarten through sixth grade, to be more like the schools it operates in Utah, according to information provided to Pinesdale families. The recent criteria for good standing in the AUB, Pinesdale residents say, has been pledging support for Thompson and viewing him as the source of the AUB’s power and authority from God, referred to as priesthood. 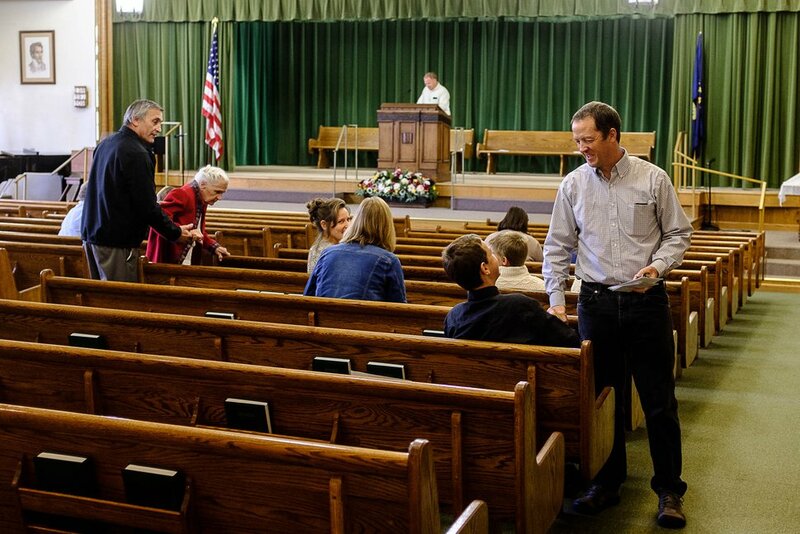 (Trent Nelson | The Salt Lake Tribune) Lex Herbert, Bishop of the Second Ward, shakes a youth's hand before the start of Sacrament Meeting for the Pinesdale Second Ward, in Pinesdale, Mont. That’s a deal breaker for Lex Herbert, who used to worship with the AUB. He said sending his children to Pines Academy is no longer an option for him and his two wives. They do not have confidence in an all-pro-Thompson faculty and see it as the latest effort to isolate critics of the sect’s leaders. “They’ve made it clear they want to run the school so they can teach their exclusive views of priesthood and priesthood authority,” Herbert said this week in a phone interview. He has three children who would be of age for Pines Academy in the fall. Herbert said he and other concerned parents have met to discuss forming a new school. Some families also might opt to home-school their children, he added, or send them to public schools. A daughter and two nieces accused Thompson of fondling or molesting them as girls. An audit also found evidence Thompson embezzled AUB funds before he ascended to the top post. The accusations have divided AUB members across the American West. The fissure has been most acute in Pinesdale, population 972, which was founded by AUB members in the 1960s as a place to practice polygamy without fear of prosecution. Bigamy is a misdemeanor in Montana, and state statutes do not forbid living with spiritual wives as they do in Utah, where bigamy is a felony. 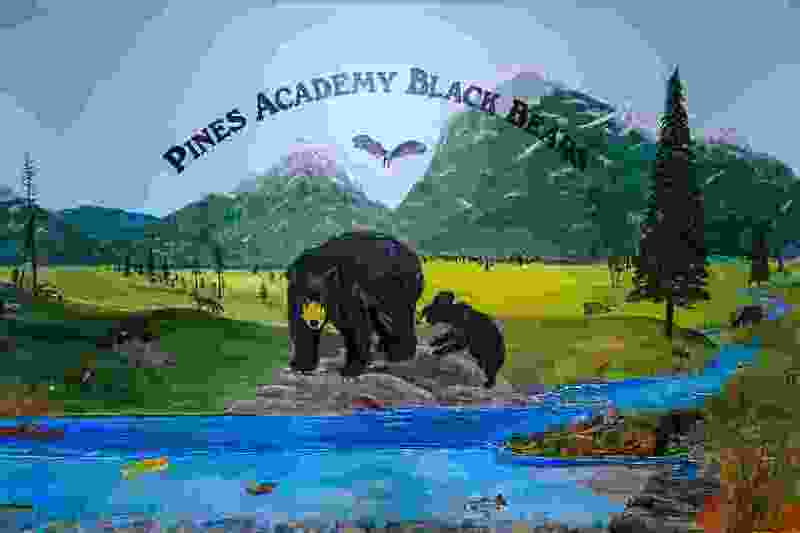 Pines Academy has 124 students this year. Herbert is among the parents who believe half the pupils won’t return to the school in August. The school has about 30 teachers. It’s unclear how many of them can return or will be needed if enrollment declines. Pines Academy Principal Vilate Stoker, who has not supported Thompson, has already said she will not return for another school year. 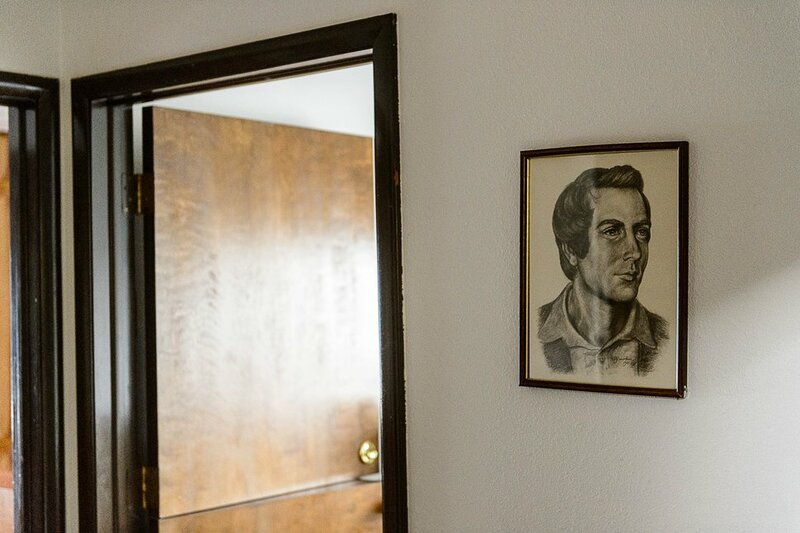 (Trent Nelson | The Salt Lake Tribune) A portrait of Joseph Smith hangs in the office at Pines Academy, Pinesdale, Mont. An AUB spokesman did not return messages seeking comment this week. In November, Dave Jessop, a AUB lay leader in Pinesdale who has led the effort to change Pines Academy policies, spoke to The Salt Lake Tribune about what were then only proposals. Jessop said the goal was not to expel the people who don’t support Thompson but to ensure Pines Academy is teaching students the AUB’s religion. Jessop, in November, also said any hard feelings over shifts at the school are the results of decisions made by those who don’t want to abide by the changes. 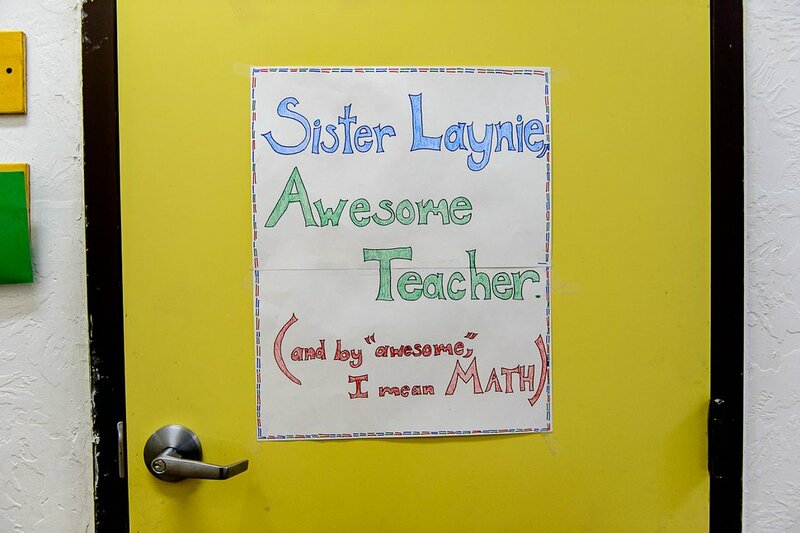 (Trent Nelson | The Salt Lake Tribune) A sign on a classroom door at Pines Academy, Pinesdale, Mont. Besides requiring teachers to pass an ecclesiastical interview, Pines Academy’s governing board plans to change the religious instruction to better conform with the views of AUB leadership, according to information provided to parents during public forums. Since the division over Thompson, students had been receiving general instruction in the Bible and Mormon scripture. More nuanced discussions, particularly over anything that might have implications for whether to follow Thompson, were avoided. Sidestepping Thompson in the classroom made Pines Academy one of the last venues in Pinesdale where people on all sides of the divide could still cooperate. Current and former AUB followers still operate Pinesdale’s municipal government. Kent Jessop, 42, said he “leans toward” not sending his children to Pines Academy in August, but no decision has been made yet. He has five children who will be in kindergarten through sixth grade and said he might work with other families to create a new school or send his children to public school. While he doesn’t like the direction AUB is going, he said Pines Academy still holds some appeal. But he worries about a “trickle down” effect of the new requirement for teachers. He worries parents will eventually need to have similar qualifications to send their children to Pines Academy.